There are a number of hazards and risks associated with farming. Farms are unique. Each farm brings their own safety challenges and concerns which can quickly grow into a lengthy list. Conducting a full safety audit can be an overwhelming task – so where does one begin? Farmers may not know where to find relevant and credible health and safety resources for their farming operation. 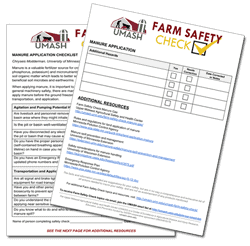 The Farm Safety Check was launched in January 2017 to provide farmers with a simple tool to identify and fix potential hazards before they cause harm to family or employees. 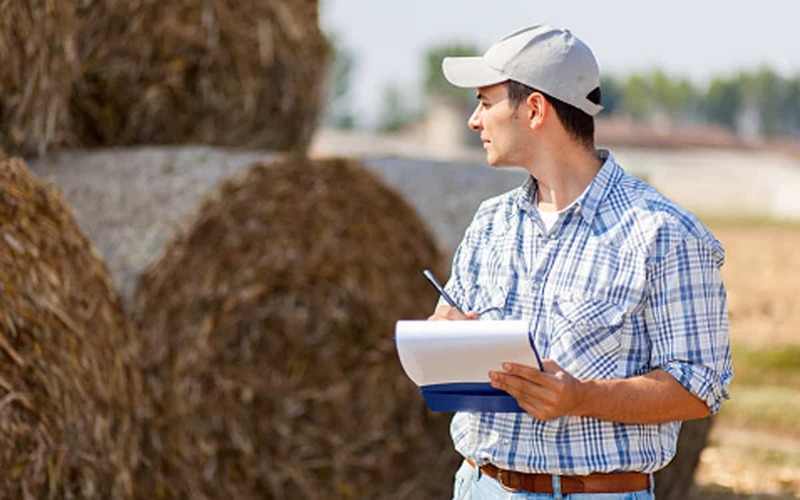 Monthly topic checklists can be easily adapted to the needs of an individual farm. Addressing safety topics in smaller segments can provide a manageable approach while also serving as an ongoing reminder about risk management. 21 topic-specific checklists – with more coming in 2019! 30+ news outlets and farm organizations have shared the checklists via radio, news articles, blogs, social media, etc. 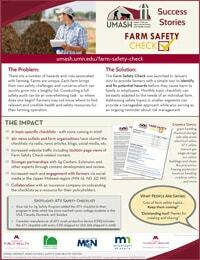 Increased website traffic including 10,000+ page views of Farm Safety Check related content. Stronger partnerships with Ag Centers, Extension and other experts through content development and review. Increased reach and engagement with farmers via social media in the Upper Midwest region (MN, IA, ND, SD, WI). Collaboration with an insurance company on cobranding the checklists as a resource for their policyholders.